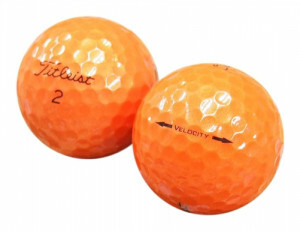 The Titleist Velocity is the newst ball in the Titleist range and has quickly picked up a following of avid golfers. Titleist Velocity golf balls are the perfect ball for golfers who are looking for distance off the tee and irons. Around the greens the balls offer a large amount of roll which allows golfers to shoot for the tee from a longer distance. Overall a great ball at a great price and one that has easily found it's place in the Titleist range.